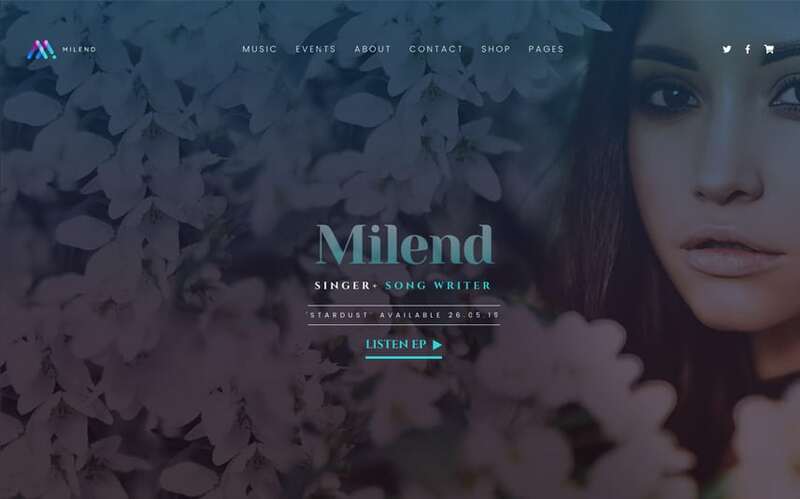 Why Milend is the best Singer and Musician WordPress Theme in 2018? Milend is an immersive, wonderful, highly stylized and intuitive responsive WordPress Theme crafted for musicians, artists and songwriters. Milend brings an outstanding user experience by its huge image background that stays still while you browse the website. Milend is user-friendly and will bring your website to an entirely new level. Replace the images with our own and the look & feel will completely change. On the homepage, you will notice the nice fade-in / fade-out while you scroll down to the slick biography section. You can use unlimited modules on the homepage including Instagram feeds, videos, music albums and eps and your upcoming events. There is no compromise in Milend Singer WordPress Theme. It has what it takes to bring your music to the big leagues. 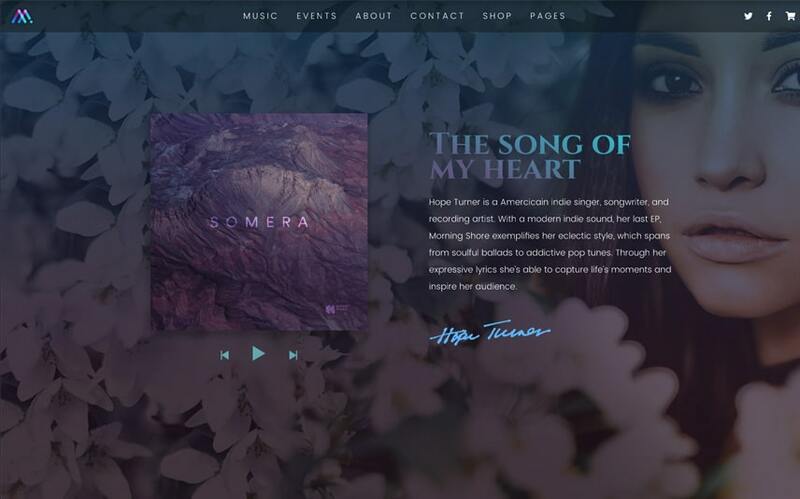 When it comes to artist and singer website, this WordPress theme for musician stands out by its amazing UX. 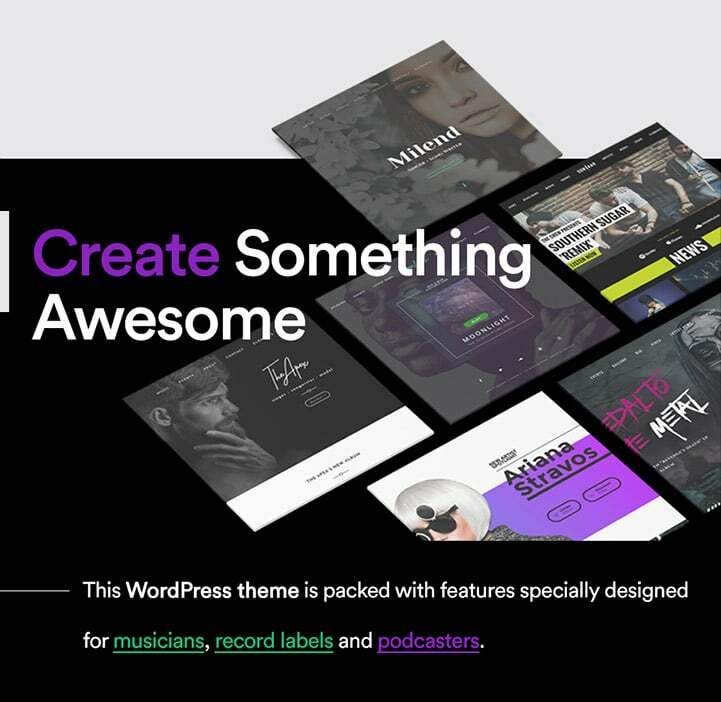 Your musical website must give a great first impression and Milend has everything it takes to supercharge your WordPress website. 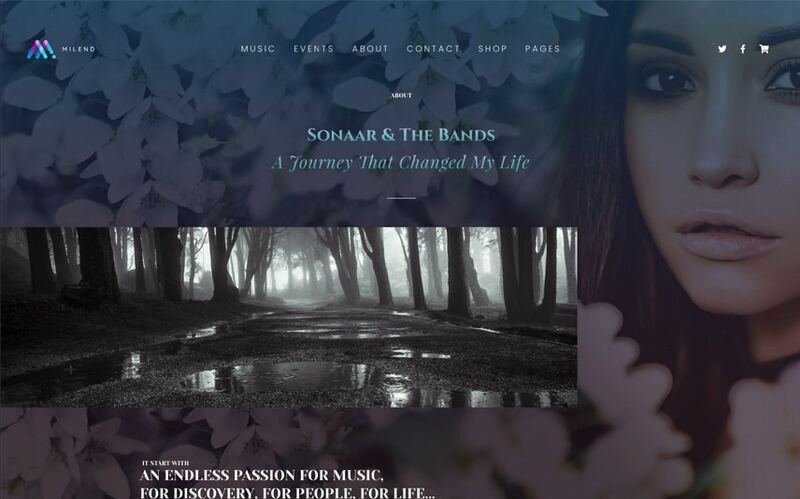 Like every music-related templates we have designed here at Sonaar, Milend is a mobile-first responsive theme which means it’s mobile-friendly. No matter what kind of devices your fans use to visit your musician website, it will display in a responsive manner. The admin panel and WordPress backend of this template have a lot to offer. It comes with several custom post types such an event manager to manage and display your tour dates and concert. The event gallery is a great feature all artists bands will enjoy. 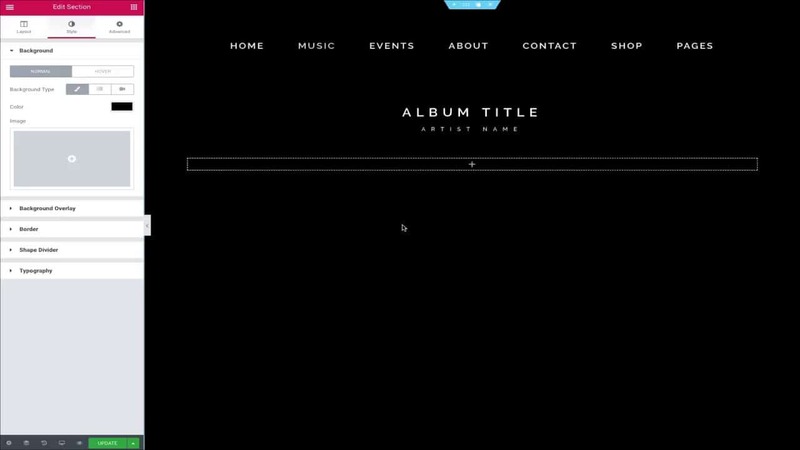 Also, you will find a very complete discography dashboard to manage unlimited albums, lyrics and songs that your fans will be able to share to their social networks. Make sure to look at the audio player as well. It’s nicely designed and will automatically display a soundwave graphic of your tracks. Audio band DJ and artist will also enjoy the nice album gallery to display their best music event photos and Instagram stories. The interactive carousel arrow is a great addition to the user interface. 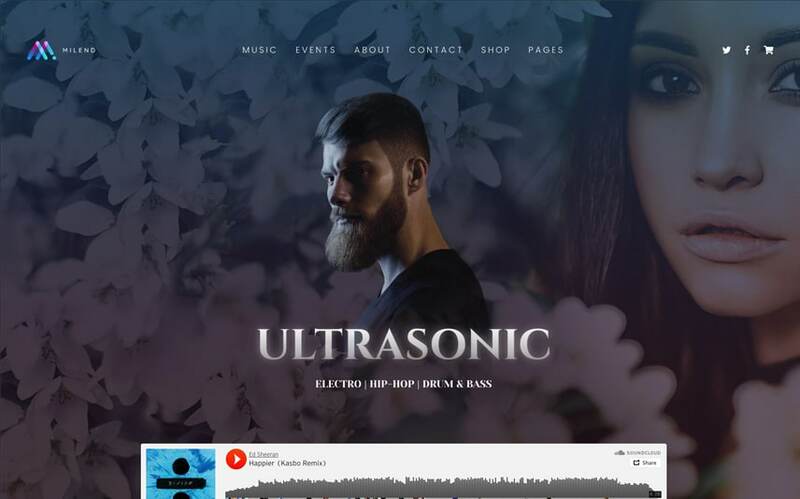 Finally, emergent band and musician that are looking for beautiful and immersive website templates need to put Milend at the top of their list because radio stations and record labels are constantly seeking for their next superstar.